Static is a word which doesn’t seem to exist in the dictionary of Australian cricket. That which doesn’t move or perform toward upholding the spirit that is Australian cricket or seems to erode the combined tapestry of brilliance that their game is known for, is effortlessly shown the exit doors. 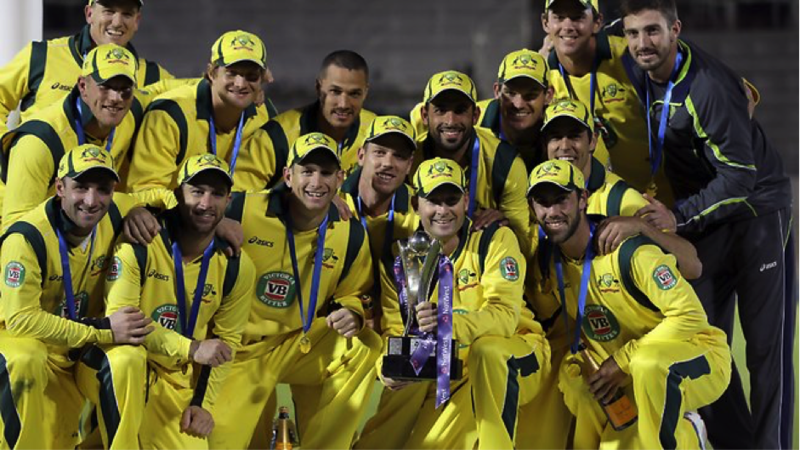 For a team that has time and again dominated international news for their effective brilliance, having given to World cricket what the purists and classicists call the strongest ever international side during the late 90s to the period of Waugh, McGrath, Warne and Ponting‘s retirement in 2007 , you simply cannot feature in the glitzy Australian line up by being average or mediocre. The players who fan the flames of Australian cricket navigate through testing waters of international competition by giving a sizeable tough fight to all who dare to attack the baggy green cap: the symbol of pride and ultimate glory of Australian cricket. You don’t simply need to be a good player, you are demanded perpetual excellence in order to help the team strive for great glories, the grasp of which have time and again coroneted Australian Cricket with amazing feats, helping their brand of cricket to find a place in the hearts of pure lovers of the game and in the process earning a badge of disdain and fear in equal parts by those competing against the Aussies. In the process of giving their all to Australian Cricket, a number of players have been marred by rising competition and some have been left berserk by the rising wants of international arena, that have hurt their bodies, bashed their confidence and in the process made them slip into a state of oblivion while once being highly regarded as permanent members of the team. Think of Stuart Macgill, Simon Katich, Michael D Venuto. But, when you come across a certain Shane Watson, things appear to be slightly different. You seem to wonder that it takes a lot more than nagging pace and accuracy, thunderous blows with the bat with a sense of consistency to survive in a side that has given lofty standards to world cricket, not just the game back in Australia. How this fine player has lasted for over a decade in a side plagued with selection indifferences, team strategies, personal injuries and all of this at a time when the reign of Australian cricket came to be commanded by a man he still doesn’t seem to talk much too: Michael Clark, is a testimony of Watson’s great work ethic, passion and literal devotion to the game that one feels he was cut out for. The 1.93 meters giant from Ipswich, Queensland, Australia has been a regular feature of a star studded Australian line up, since he was first seen strolling down the crease in that icy white Aussie cricket attire. Watson first broke into the test unit of Australian cricket, a powerhouse of sublime batting talent in 2005 and up to this point of day, as he has turned 34, he has stood for everything you consider pure Australian in its approach to the game. He speaks less, expresses more, dynamically with both bat and ball, appears furious and mostly deeply driven to hoist the Australian flag on the 22 yards and has caught the popular imagination of the fan and critic both, with a grandiose display of his all round talent with both the cherry and the timber that has enabled the herculean force in him to garner over 9300 runs and scalp over 241 wickets from both versions of the game. During 2005, what it meant to be a star performer for Australia was not just a player blessed with breathtaking batting talent or being gifted with the wizardry of the ball, you had to be a fine all rounder and fill in the flickering void left by Andrew Symonds and Steve Waugh who retired earlier, to have any realistic chance of outplaying the selector’s bite, in order to make a name for yourself. With an array of under-performing scores in both versions of the game, Watson, who was selected purely as an effective lower order bat actually broke out in the real sense in the international arena in 2009. In his previous indifferent stints, he would come to the crease when much was already done by the glittering top order of his side with the ball not always coming into his hands. The likes of Brett Lee and Johnson had already broken into the international side and had delivered the promise that was expected off them. By 2009, Ponting was beginning to look fatigued and Adam Gilchrist had almost given all he had in store for the great side. His retirement already came a year before in 2008, before Shane Watson’s rise in Australian cricket. 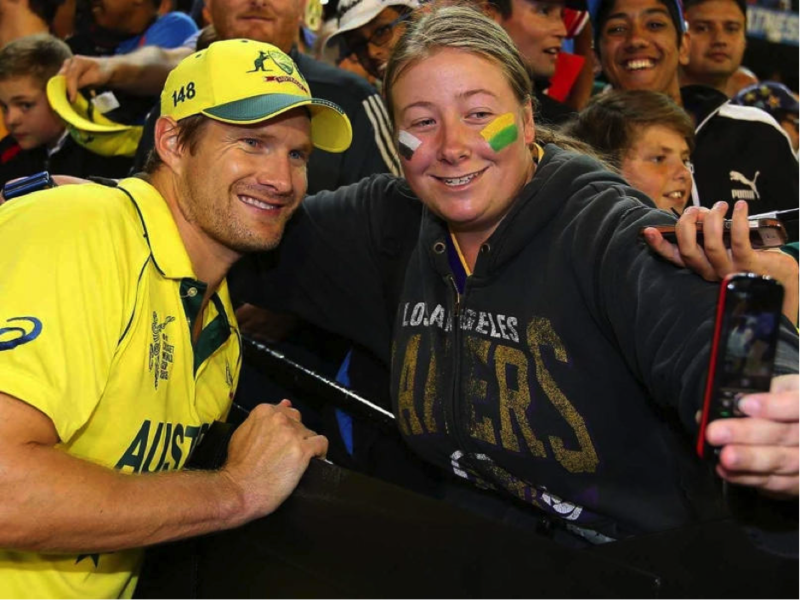 In terms of its cultural impact on the sport and sheer influence among fans, critics, opposition, and ultimately the team in general, Shane Watson couldn’t have arrived at a better time in Australian cricket, than that of the middle of Australia’s mid season ashes campaign of 2009. He was given the opening slot in Gilchrist’s absence against England back home in Australia and it was evident from his handling of the new ball and the agility on the cricket field that a new dawn was on the horizon of Australia with Watson’s arrival. In his first 8 test matches, Shane stuck a brilliant 7 fifties and a wonderful 120. Seldom reluctant to offer a handy offering with the ball, he was to quickly adjust his line and pace and become one of the consistent wicket taking bowler, who never rued about not being given the fresh new cherry. 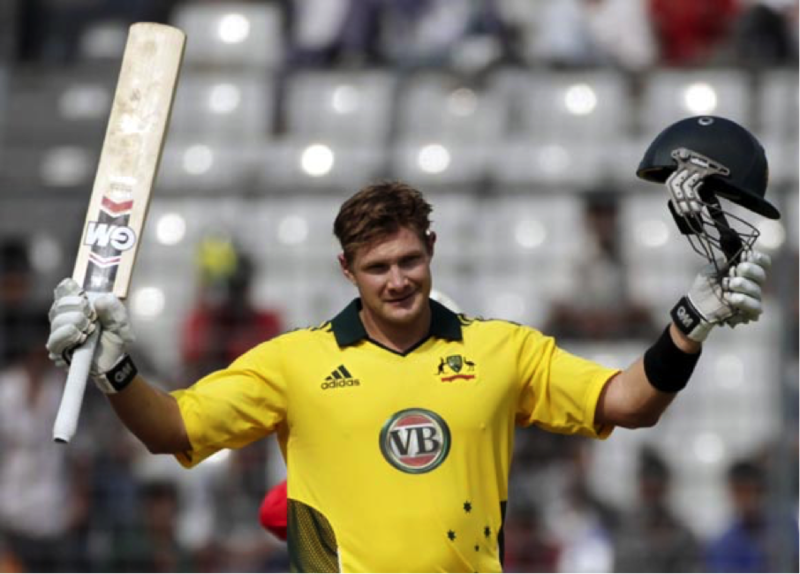 Not many men understand the becoming of a meteoric rise better than Shane Watson who caught Bangladesh unguarded in 2011 when he launched a brutal assault on this promising young side during his fire power knock of 185 not out in Bangladesh, which featured 15 sixes. Glories from the ball were on the constant offing as were the heroics from the bat. Soon during 2011, a season where Australia played good all round cricket save from the indifferent world cup campaign in the subcontinent, Shane Watson together with Clarke, Mitchell Johnson and company were ready to roll out a new exciting period of cricket in Australia by making the best of the well oiled machinery that Cricket Australia nurtured. Watson’s calm disposition with the bat and hungry eyes that were tireless in its offering of a piece of mind to the opposition continued to fetch Australia glories on home soil and abroad. He was named the vice-captain, a decision that controversially never went down well with Clarke, the captain who seemed to be in constant opposition to Shane’s cricketing wisdom and might. With Australian cricket rambling with the likes of two leaders who were mature, talented and flawed in their own jovial sense and up against the avalanche of talent that teams like India and South Africa were contesting with, a lot had to be done by the Aussies who were looking promising than ever to recapture international headlines who had hitherto seemed indifferent towards their rising talent. Being Australia’s most promising player in past one decade isn’t an easy task. A team that constantly looked out on the services of a specialist all rounder, shying away from responsibilities is not a facet one would associate with this brave leader. In the period post 2010, suffering from frequent injuries, threatening to the point of damaging his personal career, Watson understood that in order to expand his versatile offerings to the game, he had to reform his approach. Watson would be the first to hit the ground during practice sessions and would be the last to leave the field, given a difficult role the new vice-captain had to adorn: a specialist all rounder, something he holds close to his heart and is considered his forte. To this point of time when Australia are well back on their way to being the erstwhile ruthless cricketing power, unleashing their fury on their opponents with the likes of Hazlewood, Johnson, Clarke, Warner, Marsh and Smith making for revered and feared names in the game, it is Watson’s seasoned and dependable approach that has provided Australian cricket with much needed stability and reassurance. He has given up drinking and is a constant companion to treadmills. Sledged to the point of possessing great all round talent and dealt verbally by the likes of Steyn, Boult and Pollard in particular, Waton has held on to his own gracefully. He will show you the way to the boundary when you deliver that one bad ball and given his insistence to edge out the bowler in front, makes sure this becomes a constant phenomenon. With the ball, Shane’s pace isn’t threatening as that of a Lee or Shoaib but possesses the dangerous accuracy and consistency that has demented the batsman’s confidence in front. Sidelined by personal injuries but managing to come out on top of them and that of the team’s bashing, Watson’s resolve and unique ability to hold fort when the chips are down make him a team’s delight and the opposition’s nightmare. By preserving the passion to represent Australian cricket, with his all round offerings with both bat and ball, one wonders if he silently gushes on being compared with legendary Jack Kallis.